A good-humored meditation on regret and forgiveness, Peery’s latest (What the Thunder Said, 2007, etc.) follows the aging Campbell family, a clan as tightknit as it is troubled. Hattie and Abel have spent the entirety of their marriage in Amicus, Kansas, a “haphazard” town that has treated them well despite the seemingly endless struggles of their six adult children: public intoxication, drug offenses, DUIs, foreclosures, divorces. But while “the trouble she and Abel endured with all but one of their six offspring was almost biblical,” it is clear to Hattie that the “felling blow would be dealt by Billy, the baby, now in his middle 40s and wearing every misspent year.” And so it comes to pass. At Abel’s 89th birthday party, it is Billy—charming, drug-addicted, his mother’s favorite—who falls asleep at the table in a plate of devil’s food cake, causing the family to once again confront the question long haunting the family: how do you solve a problem like the youngest Campbell child? What follows is a novel of family dynamics, driven less by plot than by the passage of one difficult year. Billy’s current crisis—the culmination of years of crises—becomes a unifying force, pulling the family closer together even as it exposes the rifts between them, the long-simmering resentments and the personal failures. And at the center of it all, with her children swirling around her, is Hattie, torn, as always, between her love for her husband and her devotion to her favorite child. A slow burn of a book, the novel takes time to build up steam, but the result is a tender—if not altogether surprising—family portrait with generous heart. 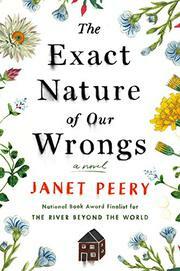 Ultimately satisfying, a quiet novel with lingering warmth.